INSTANT WIN GAME & SWEEPSTAKES: Win FREE Movie Tickets from Moviefone! 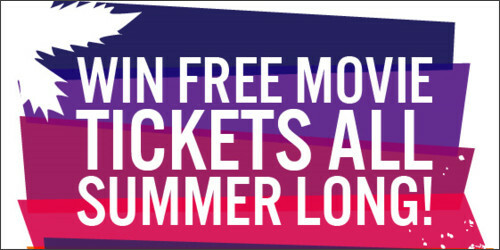 Go over here to try to win FREE movie tickets with Moviefone's Summer Giveaway Extravaganza! They're giving away 1,000 movie tickets every week, for the whole entire summer! Good luck & let us know if you win! Last time Moviefone had a game like this I won 3 times!! !